Let’s face it, traditional marketing isn’t easy and digital marketing is even harder. With a myriad of variables and continually changing rules, staying on top of digital marketing can be a lot for any business. Thus, too many businesses are spinning their wheels with SEO marketing — not doing it correctly and missing their opportunity to have a huge impact online. In general, consumers tend to trust sites that appear on the first page of search results more than those on the other pages. For that matter, these users tend to be in a hurry and often don’t even bother checking out what information is on page two or more. Front page visibility is golden and there are two ways to get there: paying for expensive ad placement and organic search placement. 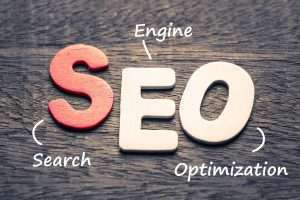 When SEO marketing is done correctly, there is little that can compete the with strong, organic search engine visibility that it generates for a business. But how do you do it the right way? That’s exactly what we’re going to talk about today! Search engine optimization (SEO) is the process of designing your online presence to attract search engines. This is done by defining a specific set of keywords and phrases that consumers use to find your company and incorporating them into your website, content, and social media channels. From the outside that seems like an easy, cut and dry process, but don’t be fooled. The science that goes into successful SEO marketing is very refined. First, you must find the correct keywords and phrases. Remember that your competitors are most likely using the same or similar words, so you need to be strategic. Go for the ones that are easier to rank for first and then dig into the more popular, harder to get phrases. Second, once you rank you must continue to produce content and links to hold your spot. Make sure you are creating evergreen content as well, as that will help to keep your rankings as you build your content strategy. If you can just buy your way to the front page of search results why not just do that instead of putting all the effort into SEO marketing? Good question! It’s simple really — your ad is short lived and only visible while you pay for it. Plus, consumers are less trusting of the ad spots and statistically will click on non-ads more often than paid placements in search results. Now that you know the what and why of SEO marketing for business, all that’s left is the how! If you have the staff and expertise to handle it for yourself, then get cracking because your competitors are already doing it! But if you don’t, SBOS Web Solutions can help! We are a St. Louis SEO digital agency that knows how to get brands found online. Contact us and let us show you how it’s done! ← Does Your Business Really Need a Mobile App?